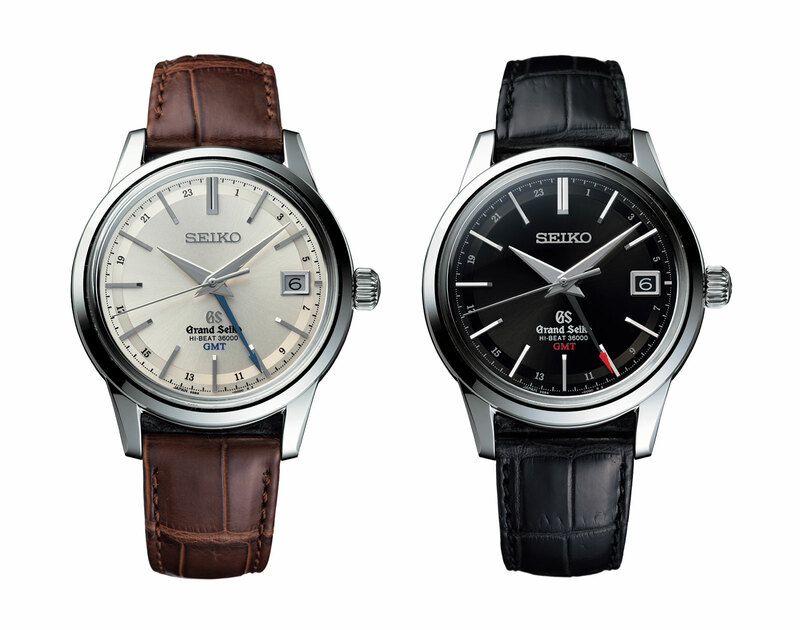 Three new models have joined the twin time zone Grand Seiko GMT line-up, including an unusually coloured limited edition. All three additions are powered by the top of the line calibre 9S86, an automatic that runs at 36,000 beats per hour. The limited edition Grand Seiko Hi-Beat 36000 GMT (SBGJ021) draws on the “colours of sunrise on Mount Iwate”, the volcanic mountain visible from Shizukuishi Watch Studio, the workshop where all mechanical Grand Seiko watches are made. Meant to evoke the morning sun as it hits the mountain, the dial is a deep red with a radial motif that’s inspired by the ridges of Mount Iwate. 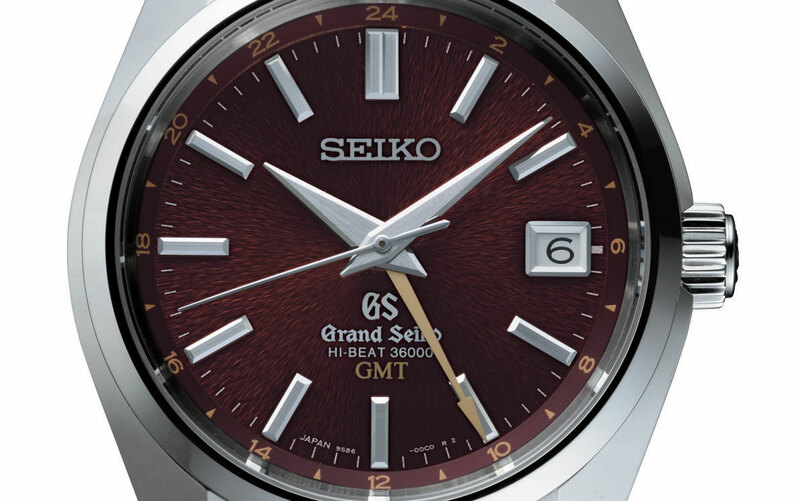 The back of the watch, however, does away with the typical conservative Grand Seiko style. Graduated tones in multi-hues cover the spiral-shaped rotor, a look inspired by the colours of the spectrum that makes up the sunlight. Made of titanium on top – the alloy is used for its rigidity and shock resistance – the rotor is weighted with a hidden tungsten mass below. The psychedelic colours are produced via anodic oxidisation: the titanium is subject to electrolysis that creates an oxide film on its surface. That’s essentially an electric current that causes a chemical change on the surface of the titanium, with the different colours achieved by varying the current and resulting oxide layer. 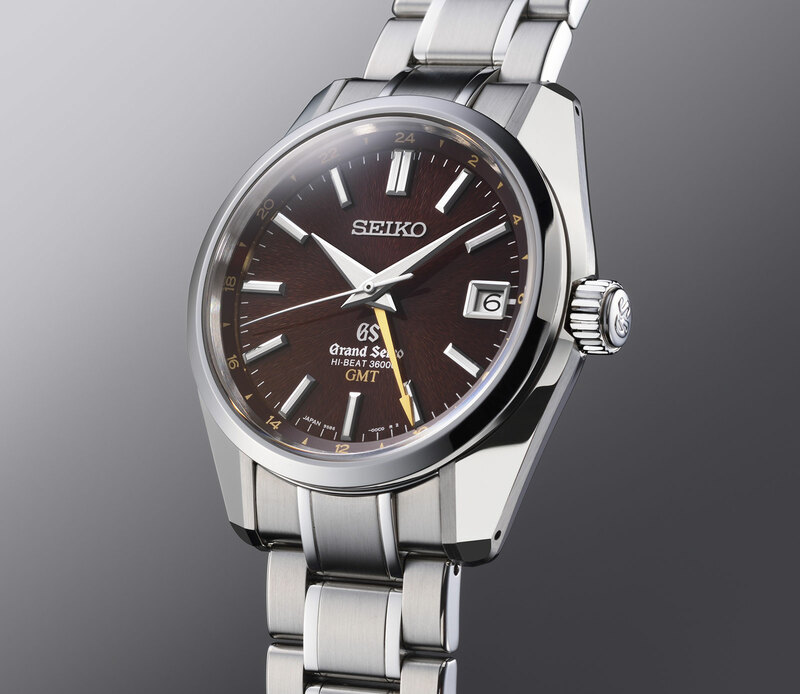 The SBGJ021 has a 40mm stainless steel case with wide polished flanks taken from the 44GS, the same case found on the first Grand Seiko Hi-Beat GMT unveiled in 2014. It’s limited to 500 pieces. Two more additions to the GMT range – the silver dial SBGJ017 and black dial SBGJ019 – are part of the regular collection, featuring a dial that’s a slight tweak to that found on the original Grand Seiko GMT. Both are stainless steel, 39.5mm in diameter and 13.9mm high, making them exactly the same as the basic Grand Seiko GMT (the SBGM021 for instance). 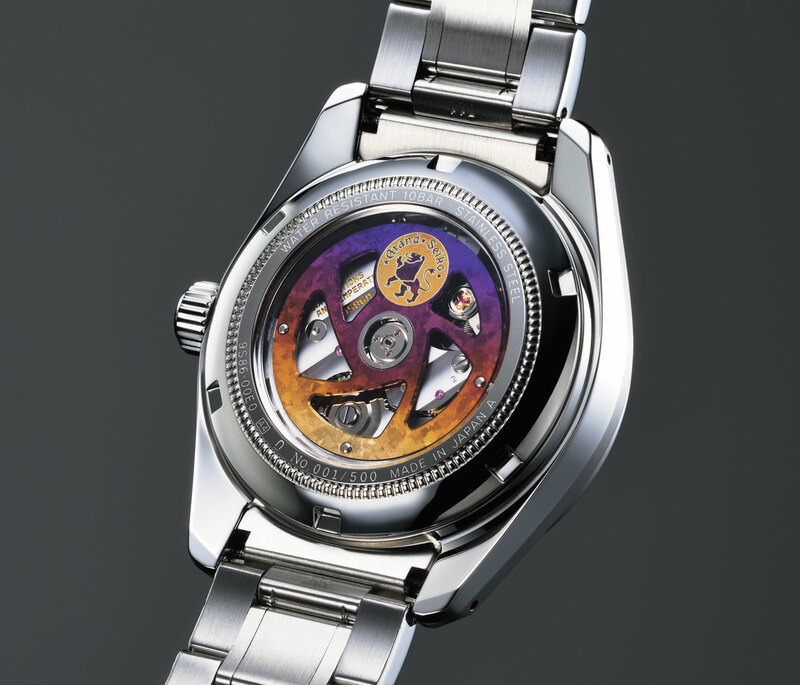 The limited edition SBGJ021 is priced at €7300 or ¥700,000. It will be available mid November in Japan, and end November internationally. And the SBGJ017 and SBGJ019 are both €7200 or ¥680,000. They will reach stores late September in Japan, and a month later in other countries. Addition September 8, 2016: Delivery dates included. Correction September 23, 2016: Diameters of the SBGJ017 and SBGJ019 corrected to 39.5mm.